Society’s got quite a ways to go before it fully values and respects women’s health, but it’s encouraging to see new voices emerge to champion women’s health issues. One of those is LOLA, a brand of feminine care products. When it comes to women’s hygiene, what’s on the market is almost exclusively controlled by behemoth corporations. The result is mass-produced tampons and pads that are made with a mix of materials, leading some women to question what they are exposing their bodies to. LOLA aims to disrupt that paradigm. Co-founded by Jordana Kier and Alexandra Friedman, it’s a brand created for women, by women, and that shows. Tampons come in three levels of absorbency and include an optional cardboard or plastic applicator. Ultra-thin winged pads are offered in all-day and all-night varieties, while even thinner liners are also available. Most impressively, all products are 100% organic cotton. Though the brand is young, LOLA is demonstrating some admirable social responsibility. Since launch, LOLA has donated over 100,000 feminine hygiene products to homeless shelters, which are overwhelmingly understocked. Kier and Friedman have also prepared “a first period kit,” which comes in an attractively designed box to help girls feel ready for, rather than ashamed of, their first period. 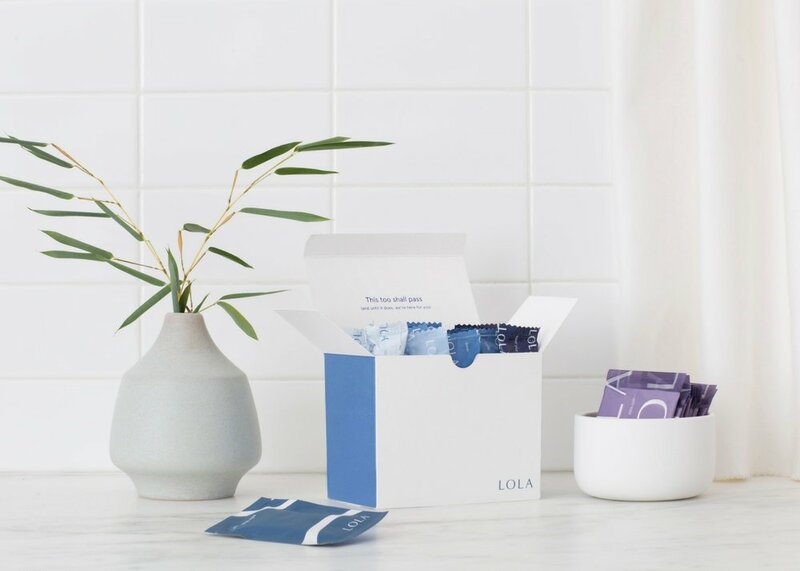 Beyond tampons and pads, LOLA also creates products for sexual health, including condoms, personal lubricant, and wipes. In an industry where the marketing is overwhelmingly geared toward men, it’s refreshing to see these products designed from the perspective of women. As LOLA continues to expand its influence, Kier and Friedman hope that it becomes a go-to resource for women to approach with questions about their health. Their vision may not solve all the problems women continue to face, but it’s a step in the right direction.